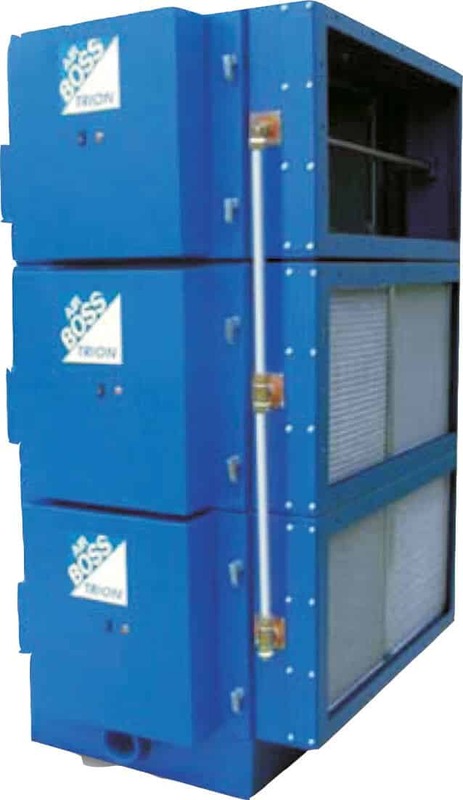 The Trion Kitchen Exhaust Ionizers (KEI) or Electronic Precipitators are idea for the removal of smoke and mist in the industrial as well as Kitchen applications. Industrial Indoor Air Cleaning: The Trion Kitchen Ionizers is Ideal for the smoke, fumes and oil/ coolant smoke and mist. Trion KEI has the ability to clean contaminated indoor air and recirculate it back to the work area, reducing energy costs by not having to exhaust conditioned air to the outside. Kitchen Exhaust Cleaning: The Trion KEI effectively removes uncondensed grease, fumes & oil mist from the outgoing Kitchen Exhaust Air, thereby eliminating the smell and door complaints from nearby buildings. To get more details on the Kitchen Exhaust Ionizers, write to us.